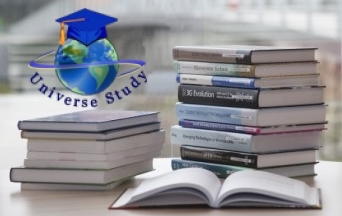 Universe Study is completely independent international organization specialized in helping students, professionals and other interested people to find the right program to study abroad. Our company founded in 2008 works mainly in Internet that allow us to reduce the maintenance costs and keep the good prices. We understand that with a plenty of language schools and other institutions sometimes it’s really difficult for a student to make a right choice with a minimum cost. We offer a complete service absolutely free of charge: full information about the school/institution and the offered programs, help and orientation in choosing the most suitable program for you, application and preparation of the necessary documents, information about the country. -	You’ll never pay more with us! We don’t charge any agency fee or other extra costs to our clients. Moreover you receive a clear price calculation with no hidden fee. -	You have an oportunity to receive good discounts on many programs! According to our agreements with schools we have special conditions with many of them and we are always updated about school’s promotions. -	Free consultation services from our experts with more then 10-year experience in education industry. -	Wide selection of schools and programs worldwide for any type of clients from children to professionals. -	We work individually with every client! Our sincere and honest staff will give you only best advices as for ourselves. -	We offer only best accredited schools! All our schools were carefully selected by our staff.